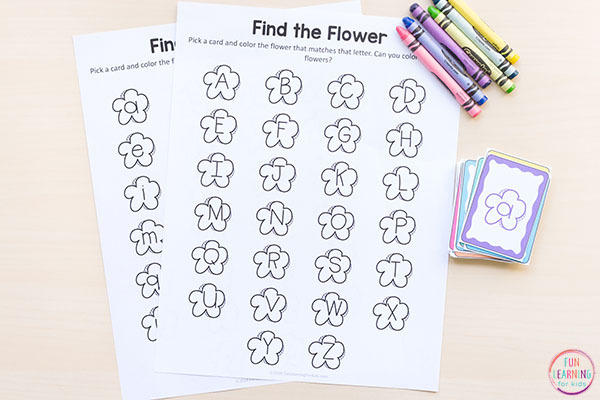 Your kids are really going to enjoy this flower find and color the letters activity! 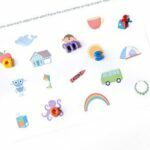 This printable alphabet activity is very low-prep and would be perfect for spring literacy centers or morning work tubs. 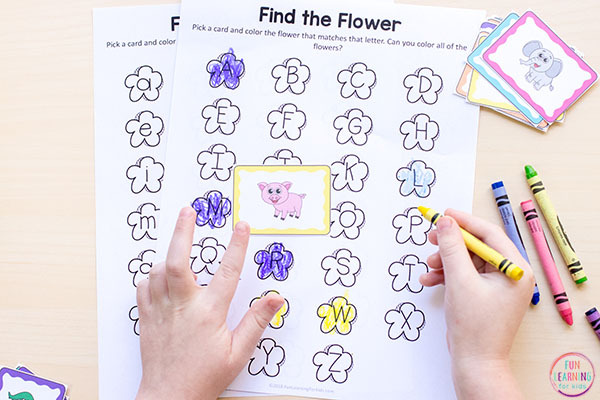 So if you are looking for a fun flower activity that is both hands-on and fun, then look no further! 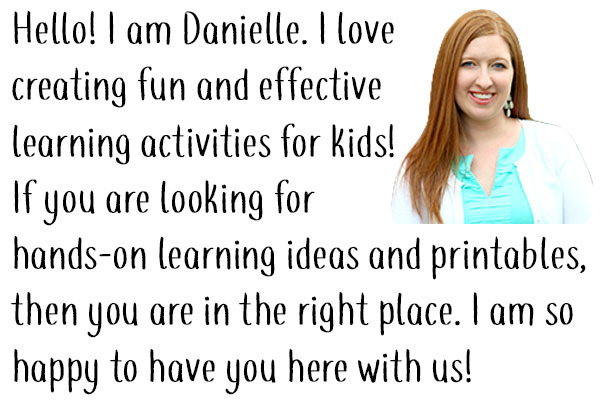 One awesome thing about these find and color the letter pages is that they can be differentiated for students at all different levels. 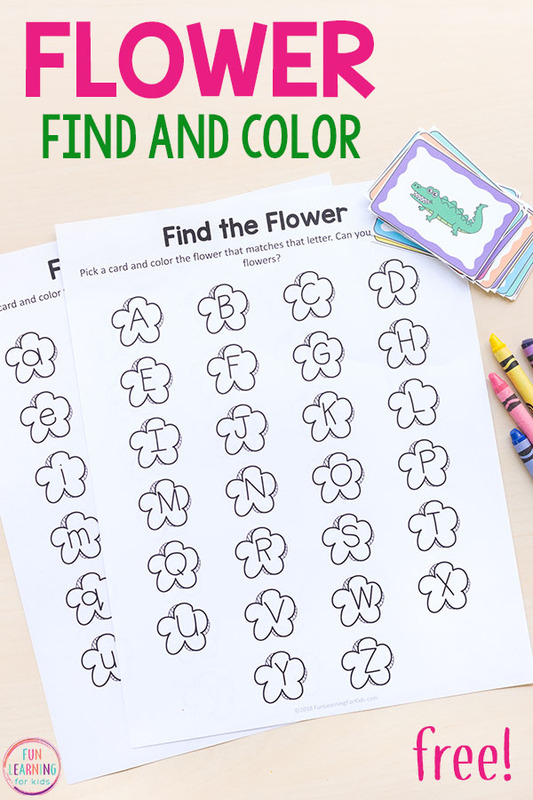 This flower find and color activity comes with two pages – an uppercase letters page and a lowercase letters page. 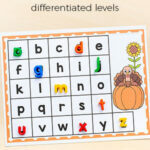 Then there are 3 types of cards – lowercase letters, uppercase letters and beginning sounds pics. 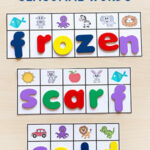 It is perfect for kids who are learning letter identification or letter sounds. 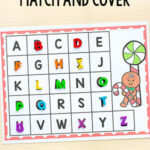 You can use it to teach lowercase letters, uppercase letters or a combination of both. All you need to do is mix and match the color pages with the different cards I’ve created. No problem! Try slipping the pages into write and wipe pockets and letting them use dry-erase markers to color. 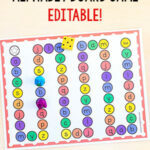 Or skip the coloring and just let them cover the letter with a manipulative – like buttons, pom poms or snap cubes. As you can tell, there are lots of ways to use this simple activity and differentiate it for the kids you are teaching. This activity requires very little prep. Just print the pages and cut out the cards. The cards can be laminated and used again and again for other versions of these find and color pages. To start, kids will draw a card from the pile. 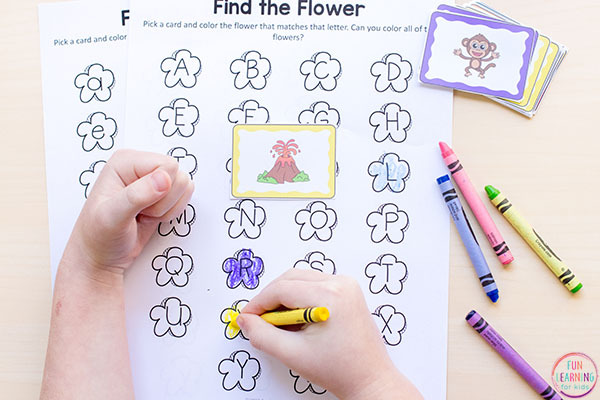 They will look at it and determine which letter they need to locate on the coloring sheet. Then they will find the letter on the sheet and color it in (or cover it up). 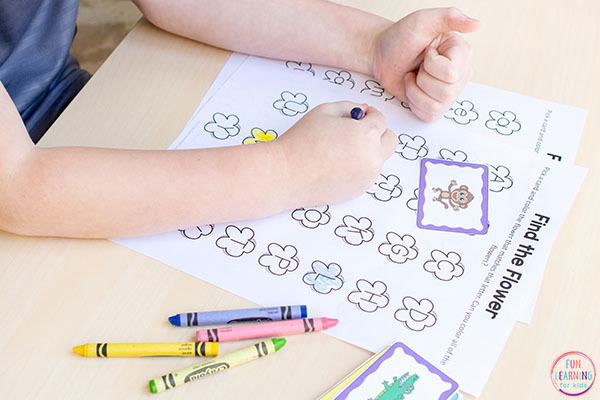 Because of the simple and easy to follow steps, many kids will be able to do this independently – which makes it perfect for your literacy centers or for independent morning work. 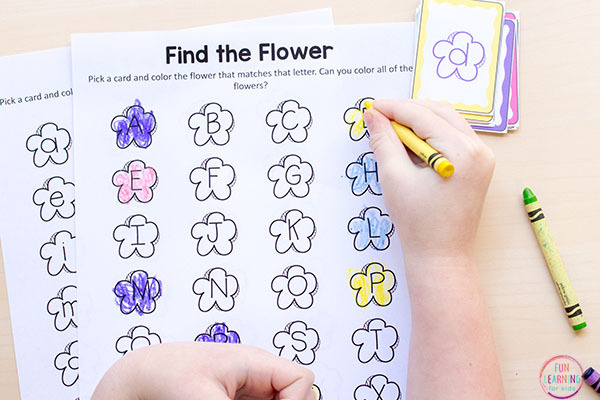 Especially when you consider the fact that it can be differentiated for lots of different levels and abilities and can be modified for kids who don’t like coloring.